Bill Watts has an announcement at the beginning of the show that will impact everything that has been announced in the last several weeks! 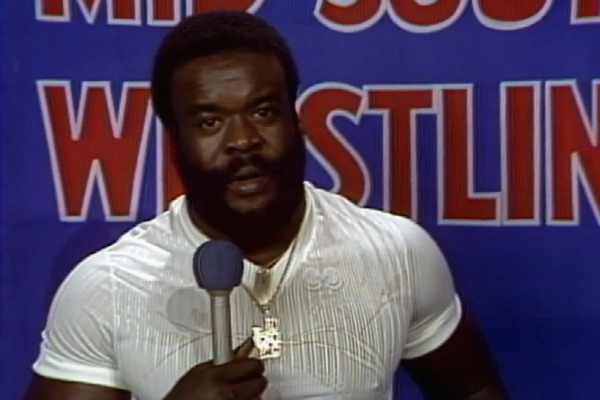 Multiple promos from Junkyard Dog, Ted DiBiase, and Bob Roop regarding the North American Title situation! A big no DQ North American title match! Buckley Christopher George Robley the III!?!?!?! One Man Gang, The Grappler, & The Assassin vs. Ernie Ladd, Tom Jones, & ??? All that and more on this week’s episode of the Mid South Television Review show from June 26, 1982!